This mailer, that all Puyallup residents should have received yesterday , is from the National Association of Realtors. This ad was not authorized by any candidate. Realtors want to sell properties. Things that help sell properties: safe neighborhoods, good streets, and quality parks are all things they know these three can deliver. Once again, another reason to vote Hopkins, Hastings, and McNutt. We are less than two weeks away from Election Day, ballots have been mailed, and the final push is on for November 5. When thinking about how/should we endorse candidates we decided there is nothing we can say that hasn’t already been said. So, we decided instead to take what others have said and showcase the highlights. One quick note, though. All six of the candidates have touted their emphasis on improving and attracting businesses to Puyallup. Working with local chambers of commerce would seem to be a natural avenue to take. Looking at the Tacoma-Pierce County Voter’s Guide shows only three of the six candidates have responded to their questionnaire. (As of this writing) You can view that guide by clicking here. 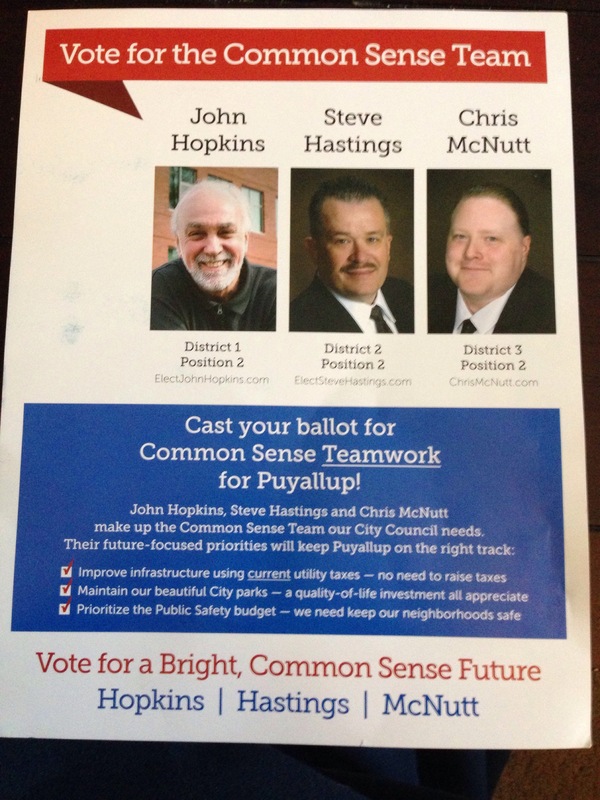 The three candidates that responded, John Hopkins in District 1, Steve Hastings in District 2 and Chris McNutt is District 3 are also the three candidates we endorse for City Council . Of course, we do not endorse them just because they responded to the chamber. But, we do believe that their taking the time to do so indicates one of their qualifications: follow-through. As you’ll see in the quotes below, follow-through, trust, and a wealth of life experience and knowledge contribute to their value as council members. As you fill out your ballot look at candidate websites and read their endorsement lists. See where their support comes from. 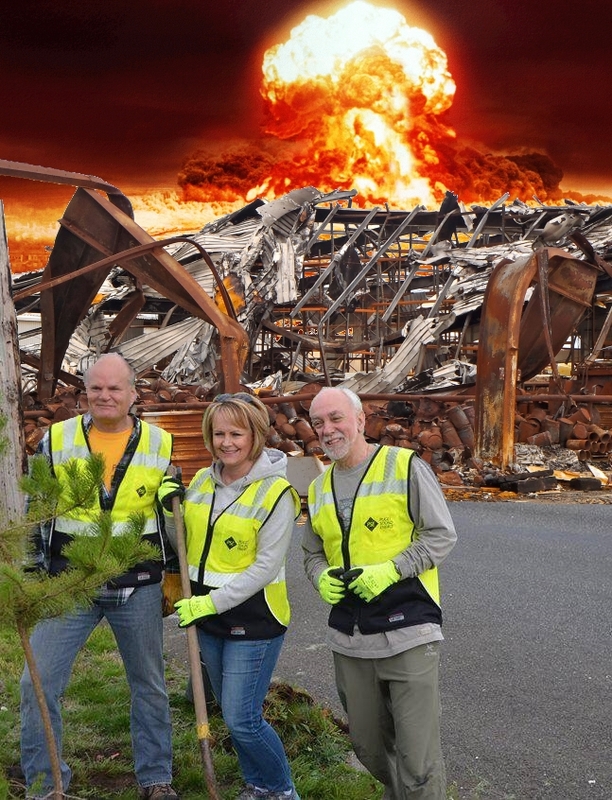 You’ll see on Hopkins, Hastings, and McNutt’s lists numerous long-time Puyallup residents who have volunteered their time to improve our community. They deserve your vote on November 5.